If you had asked me which of the Western states I associate with winemaking, my response would have listed three: California, Oregon, and Washington. That changed recently when we were sent six bottles of wine from Aridus, a winery in Arizona. I associate Arizona with the Grand Canyon and blistering desert heat which barely cools at night. Granted, the latter perception was based on a trip to Phoenix in July, probably not the ideal time to visit. However, the nighttime heat in July is anathema to grape growing, which works best when the temperature cools at night. Amber Comments: I am fascinated by this winery and its owner Scott Dahmer. He moved his winemaking operations from the famous Napa Valley to the unknown Arizona wine region. To me, that speaks of his vision and pioneer spirit. Even the name of the winery is symbolic and meaningful as Aridus in Latin means dry or arid. 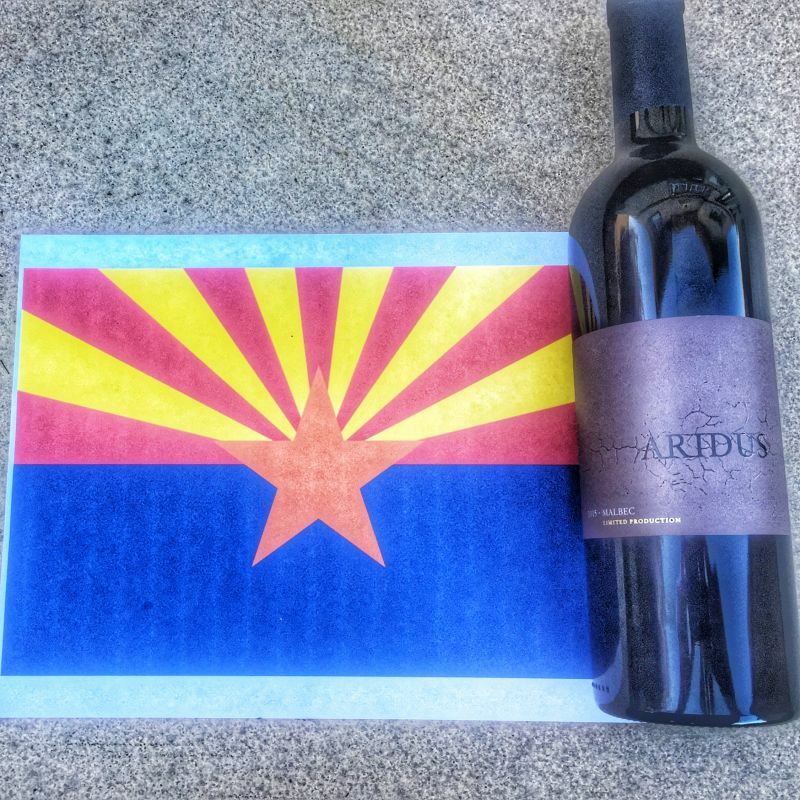 Aridus not only make wine in Arizona but use grapes grown in the state, including Malbec. 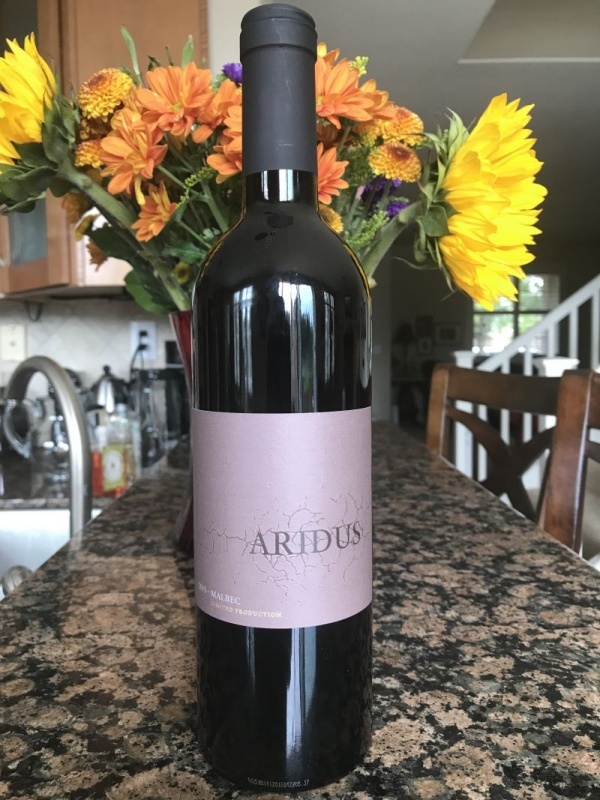 It was the the 2015 Aridus Malbec which was the first wine from this winery that I tasted. The grapes came from the Deep Sky vineyard in Cochise County, which lies East of Tucson and borders both Mexico and New Mexico. The Deep Sky vineyard’s location explains how it grows Malbec. It sits at a similar latitude North of the Equator as Mendoza in Argentina is South. The Deep Sky vineyard is at a fairly high altitude as is much of Argentina’s Malbec vines. Critically, unlike my experience with Phoenix, the night time temperature is significantly lower than the day. Note: We received this sample for review in exchange for an honest review. Swirling the dark purple wine in the glass and bringing it up to my nose provided an underwhelming initial impression. The bouquet was low intensity of leather and a waft of cherry; not unpleasant, but not something that boded well for the taste. Fortunately, taking a sip was a more enjoyable experience. Medium acidity combined with soft tannins to create a smooth mouthfeel. The flavours were a good balance of cherry, cedar, and raspberry that gave the medium finish a delightful hint of sweetness. That sweetness had a contrast in a kick of pepper which gave the finish interest. The wine was eminently drinkable. 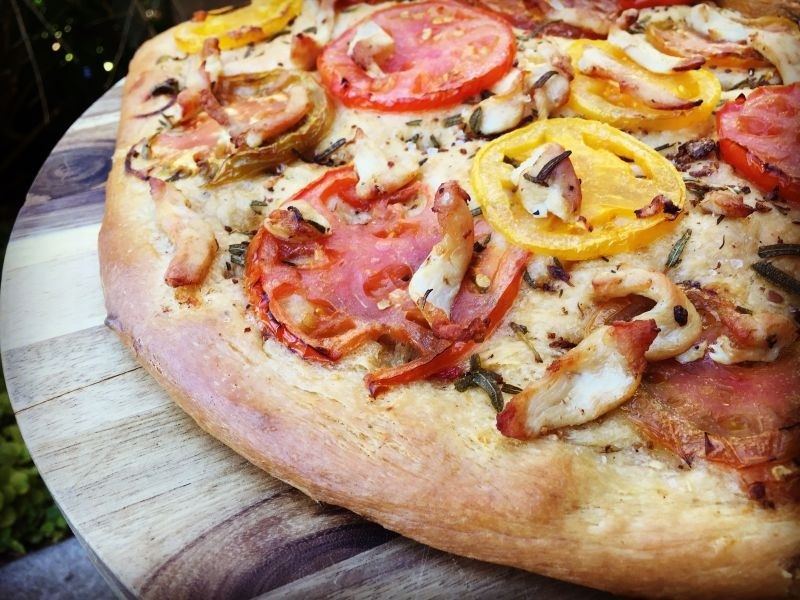 I paired it with Italian chicken focaccia flatbread pizza (recipe here), but this wine would work well with pork or even steak. The balance and refinement make this Malbec better than many of the Argentinian examples of this varietal that I have tried. The Aridus Malbec sells for $36.75 a bottle. It can be ordered from the winery here. Production was limited to 134 cases so hurry up and grab yours before its gone!